Discussion in 'Collecting and Card Price Discussion' started by Dante63s, Dec 28, 2007. 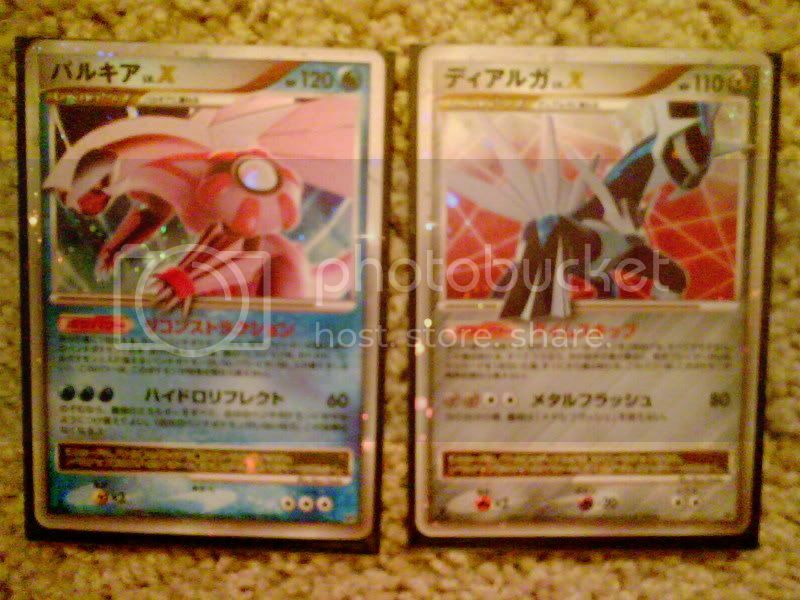 Were your trades the starter deck versions or did they come from boosters? Well anyway, you got 4 LV.X for two foreign language ones, plus you got two other playable cards. You won. I don't know... They say DP3, but have no rare symbol (no little star). I say you have the better deal. I don't see Dialga being big but Palkia will. If you traded the pack ones, you got a better deal by about 2 Lv.X. 4 would have been enough. If you traded the deck ones then you really ripped him off. They would only have been worth 2 Lv.Xs. Ether way, those 2 for 6 Lv.X is a good deal for you. Thanks, it's from the deck's. GREAT DEAL FOR YOU!!!!!!!!!!!!!!!!!!!!!!!!!!!! !Whoever you traded to really got a bad deal! 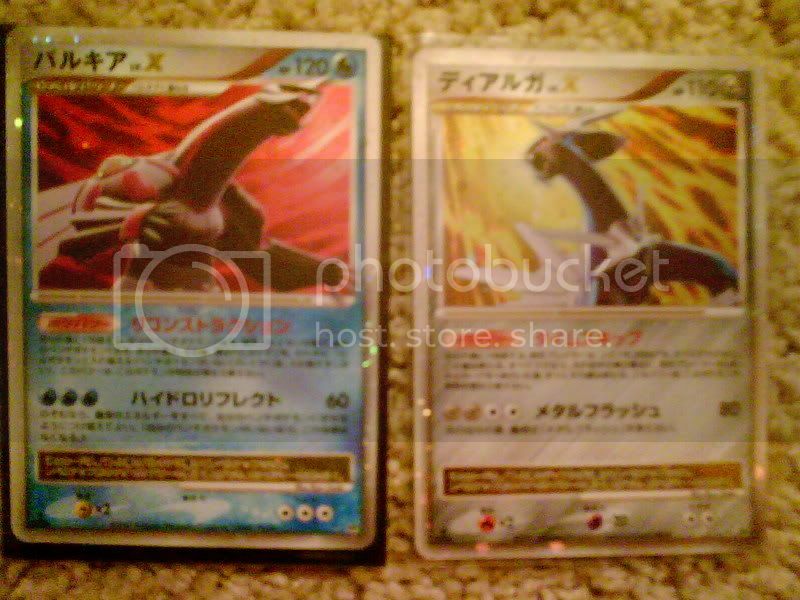 One question though: was the Empoleon Lv.X from the tin or the Booster? Either way,you got the best deal by far!